Butterfly Reflections, Ink. 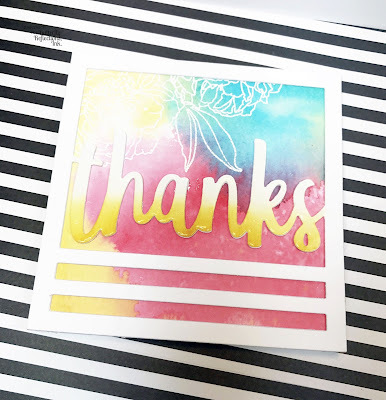 : Reverse Confetti THANKS! Happy Wednesday friends - hope you are having a great week! Have you seen these Square Confetti Cuts (links below) from Reverse Confetti? 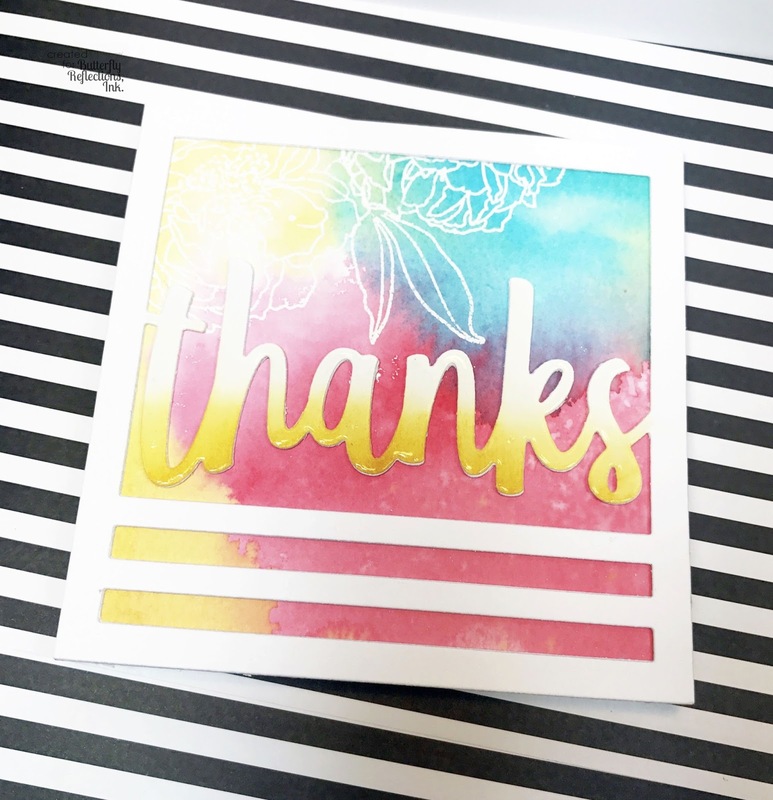 So cool; they make a perfectly square 4.25" card OR you can layer it on to a larger size card...or make a tag...the possibilities are endless. I wanted to keep mine very CAS yet colorful. I had created a couple watercolor panels last weekend (you know, smoosh some distress colors down, add some water and dip your paper in) and put them aside to dry; I thought it would be a perfect backdrop to a clean white card. 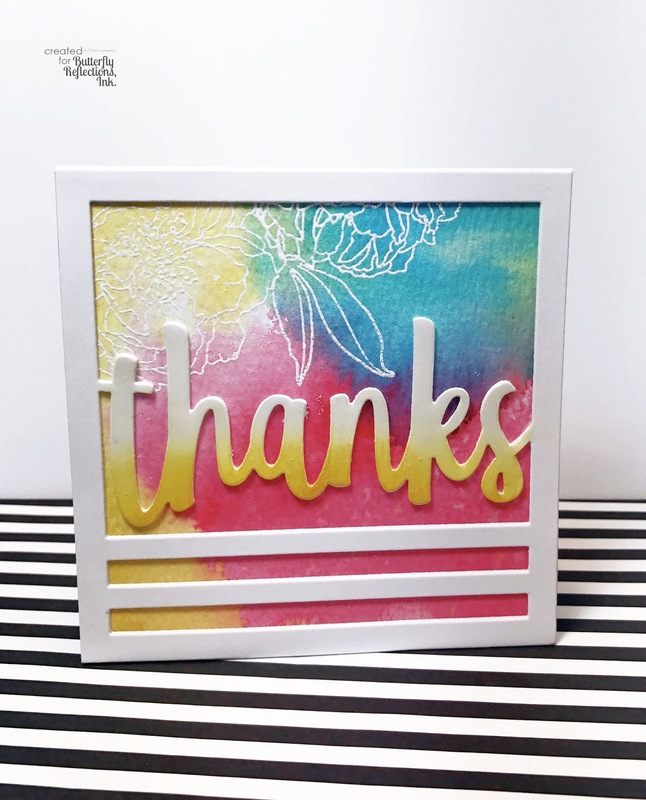 I cut 3 layers of the THANKS Square Confetti Cut, sponged on some yellow on the bottom of the 'thanks', added glossy accents then layered them together. 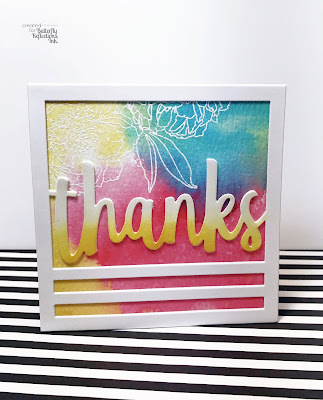 I stamped and embossed some WPlus9 Modern Peony images to add some interest, adhered the stacked panel to the watercolor panel and then to a top folding 4.25" square note card - quick and simple!